Best Quality control boards for stability & performance. Double Ricoheadfor faster speed andindustrial productions. 3.5 Picoliterhead nozzleprovides a high-resolution print with edge-to-edge sharpness. Double LED UV lamps with Water Cooling. Vacuum Bed to hold the flexible media like Leather, Sun board etc. Applications in Signage Industry,PVC door panels,Wooden doors&Glass sheets. Canprint on Leather, Plastic, Wood, Glass, Metal, Ceramic Tiles, PVC, Acrylic etc. 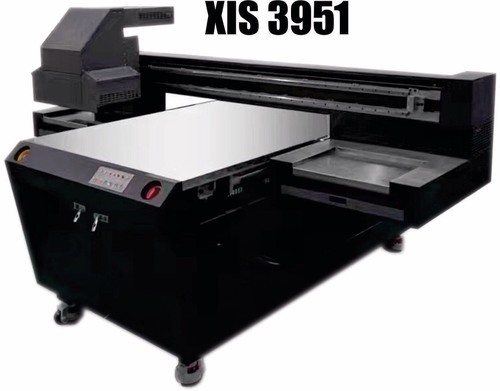 Founded in the year of 2009, Axis Enterprises is one of the leading Manufacturer and supplier of uv printers, uv flatbed printers, DTG Printers, Sublimation Printers, Roll To Roll Printers and all type of other industrial printers in all over India. We also deals in UV Consumables and Spares in India. Contact For Service and Support of all Type of Industrial printers.